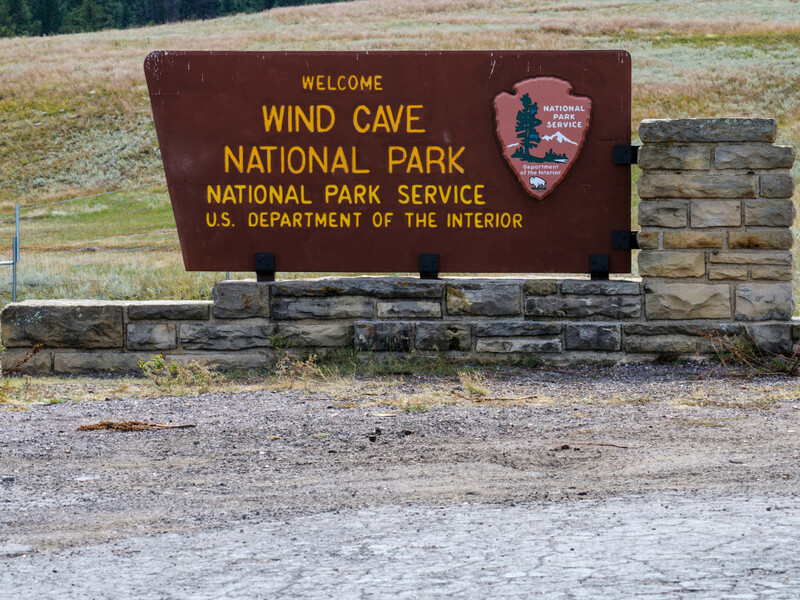 Driving across the sunlit prairie and through a forest teeming with wildlife, it’s easy to forget that the reason most people visit Wind Cave National Park is the labyrinthine system of unusual formations below ground. Wind Cave, the sixth-longest cave on Earth, is home to 95% of the earth’s boxwork, rare calcite formations that resemble honeycombs, that are found in few other places in the world. Early explorers thought they resembled post-office boxes and named them accordingly, dropping the "post office" for brevity. Known as a "breathing cave", Wind Cave breathes in and out through the natural entrance depending on the barometric pressure of the incoming weather system. If a low-pressure system is inbound, the cave will exhale. If a high-pressure system is coming, the cave will inhale. As the story goes, in 1881, brothers Jesse and Tom Bingham were out hunting when they were drawn to the cave by an eerie whistling noise. Air was blowing out of the small entrance they’d found with such force that it blew Tom’s hat clear off. Sacred to many of the Lakota people and other area tribes, Wind Cave and its environs are central to the Lakota oral creation story that says that this is where humans first emerged from within the earth to live on the surface. Established as the eighth national park in 1903 by President Theodore Roosevelt, it stretches across 28,295 acres of South Dakota's only remaining mixed-grass prairie habitat and swaths of ponderosa pine forest. 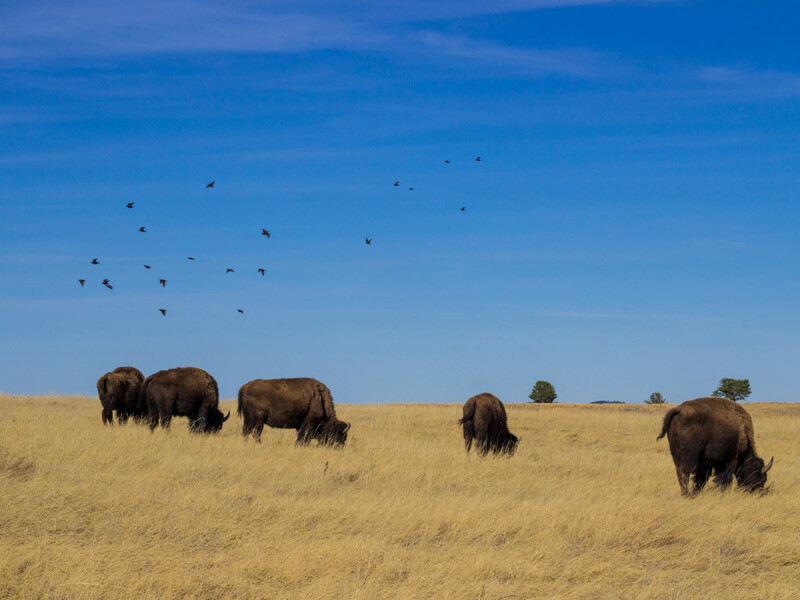 With 60% of the land being open range, it’s easy to spot a variety of the park's residents: large herds of bison, pronghorn, elk, prairie dogs, and sometimes even shy wild turkeys and coyotes. While it may not have the expected collection of stalactites and stalagmites, the centerpiece attraction is home to an array of some of the finest rock formations in the world such as popcorn, frostwork, dogtooth spar crystals, flowstone, and the famous boxwork. A tour favorite is the ‘blackout’, when the guides turn out the lights for visitors to experience total darkness, though some may find this unsettling. The easiest is the Garden of Eden Tour and is perfect for those with limited time or abilities. This one hour tour gives a taste of everything the system has to offer. It enters and leaves the cave by elevator with 150 steps along the tour route. Most popular is the Natural Entrance Tour—though there is no access into the cave through the 18-inch natural entrance, guests do get a chance to see it. This moderate tour twists through narrow passages and has 300 stairs (mostly downhill) and covers about two-thirds of a mile in a bit over an hour. For the more adventuresome, the Fairgrounds Tour is a good choice. It has the widest array of features. This 1.5-hour tour explores both the upper and middle levels of Wind Cave. For the romantics out there, pre-book a spot on the Candlelight Tour. Reservations open up a month in advance and they are highly recommended. 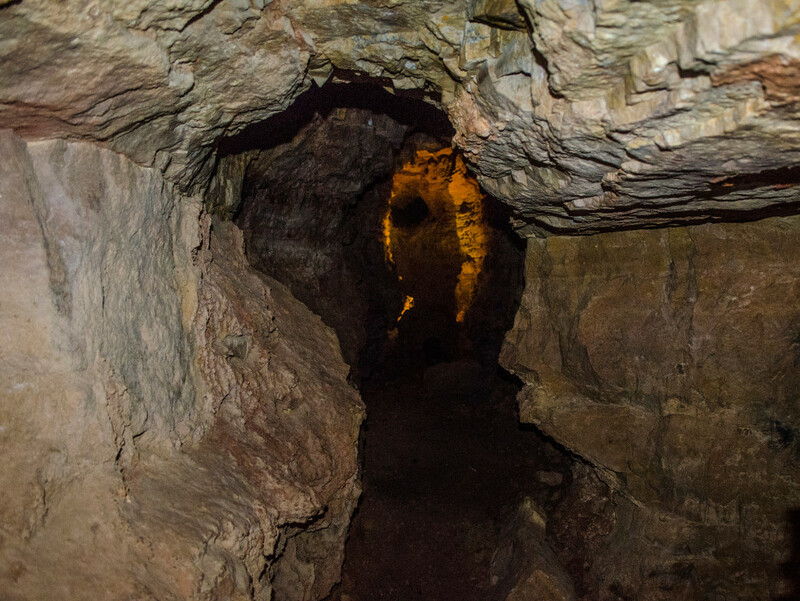 This tour takes place in small groups in a less developed, unlit section of the cave where guides and participants illuminate the way with candle buckets, much the way the early explorers did. The tour is only available in the summer. Enjoy the scenic drive through the park though beware of the local traffic that sometimes get a little stubborn (bison herds often stand around on the roads). Plan some extra time to take advantage of 30 miles of hiking trails that allow an even more up-close interaction with the flora and fauna. Avid hikers can strike out on their own without having to follow any trail at all and backcountry camping is allowed in the northwest area of the park. There are several easy trails of about a mile or less to get a taste of the park. The loop of Rankin Ridge is the best destination for spectacular views— it's the highest point in the park. For a little more of a challenge, Lookout Point follows the rolling hills of the prairie then descends to Beaver Creek for a 2.2-mile jaunt. This trail can be combined with parts of the Highland Creek and Centennial Trails to make a 4.5-mile loop. For a true adventure, the Highland Creek Trail can’t be beat. At 8.6-miles round-trip it’s the longest trail in the park. Ever dreamed about galloping across the open prairie like a star in a classic western? Luck would have it that horseback riding is allowed anywhere in the park, except for the following areas: near water sources, directly on any maintained hiking trail, on park roadways, and in the campground and picnic areas. Also no feeding of or overnight camping with your animals is allowed. Wind Cave, with its 145 miles of explored passages, is just 30 miles from Jewel Cave, the third-longest cave in the world. Some experts think that there is a good chance the caves might intersect in some areas, though it's not yet been proven. The cave is also home to six underground lakes, including one measuring 200 feet long, 50 feet wide and 28 feet deep. Much of this is off-limits to visitors and therefore unknown to most. The best way to truly understand the cave system is sign up for the Wild Cave Tour which offers four hours and a half mile, of creepy, crawly, up, over, under and around fun. Visitors get to explore the cave away from developed trails which includes scooting along a narrow rock bridge that has deep pits on each side. Clothes will be filthy after this mostly crawling adventure, so wear a long-sleeve shirt and jeans that can get grubby. Also note that clothing worn on the Jewel Cave Wild Cave Tour are not permitted in Wind Cave to help prevent the spread of any disease or other foreign substances. Wind Cave has tours year-round, but the greatest variety is offered in spring and summer (Tuesdays and Wednesdays are the busiest days). Cave tours can be mentally and physically challenging. 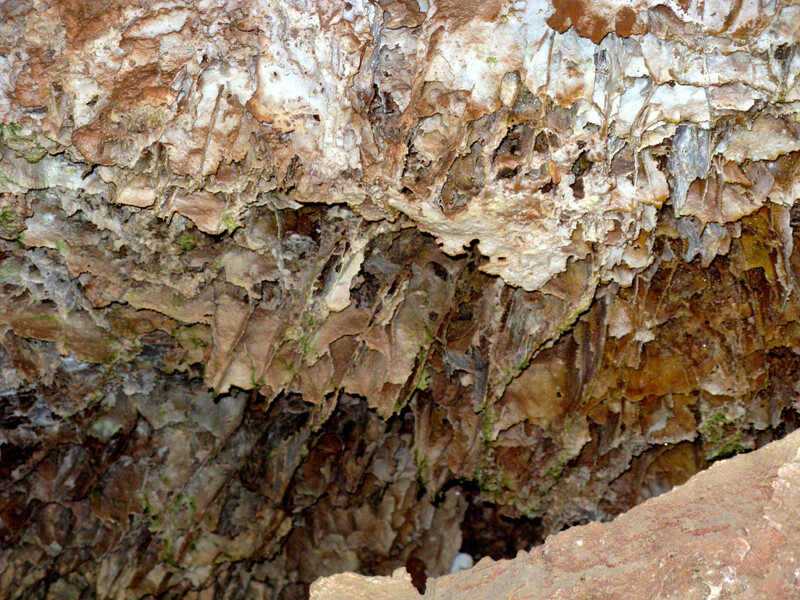 Think hard before attempting the Wild Caving Tour if claustrophobia is an issue. The temperature inside the cave is a chilly 54 degrees at all times. Wearing a light jacket and sturdy walking shoes are good ideas. Afternoon thunderstorms are common in June and July. Thunderstorms which sometimes bring large hail can be dangerous and visitors should be prepared. Prairie rattlesnakes are common throughout the park, especially near rocky areas and prairie dog towns.